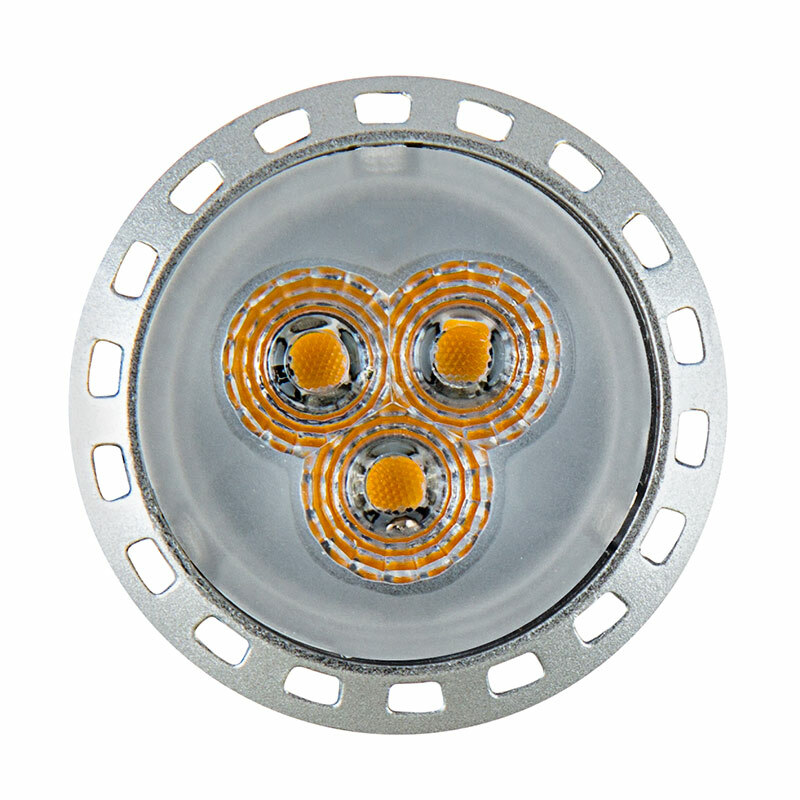 3 High Power LED MR11 Bulb: 360° View. 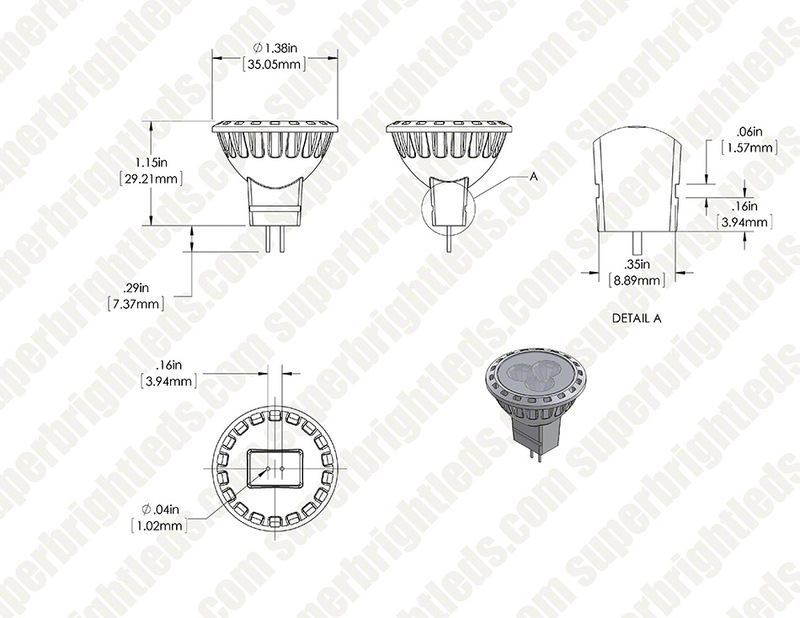 3 High Power LED MR11 Bulb: On Showing Beam Pattern. 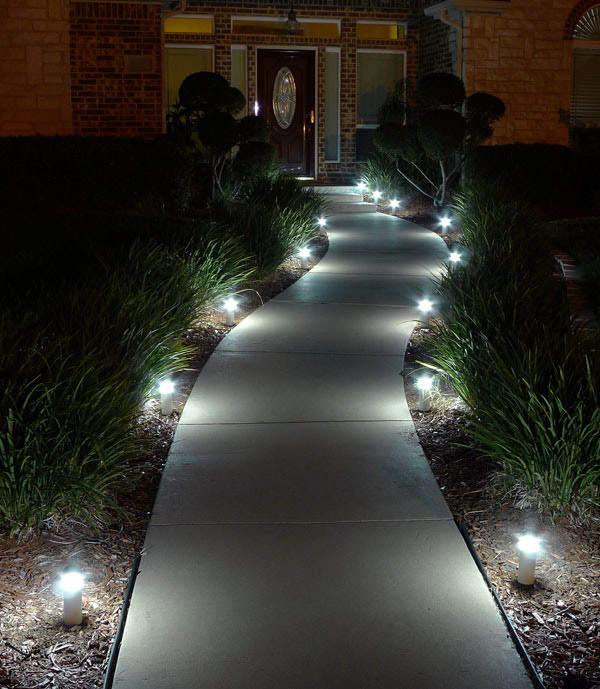 LED replacement bulbs can fit numerous outdoor and landscape applications such as driveway lights, path lights, gazebo lights, paver lights and malibu lights. 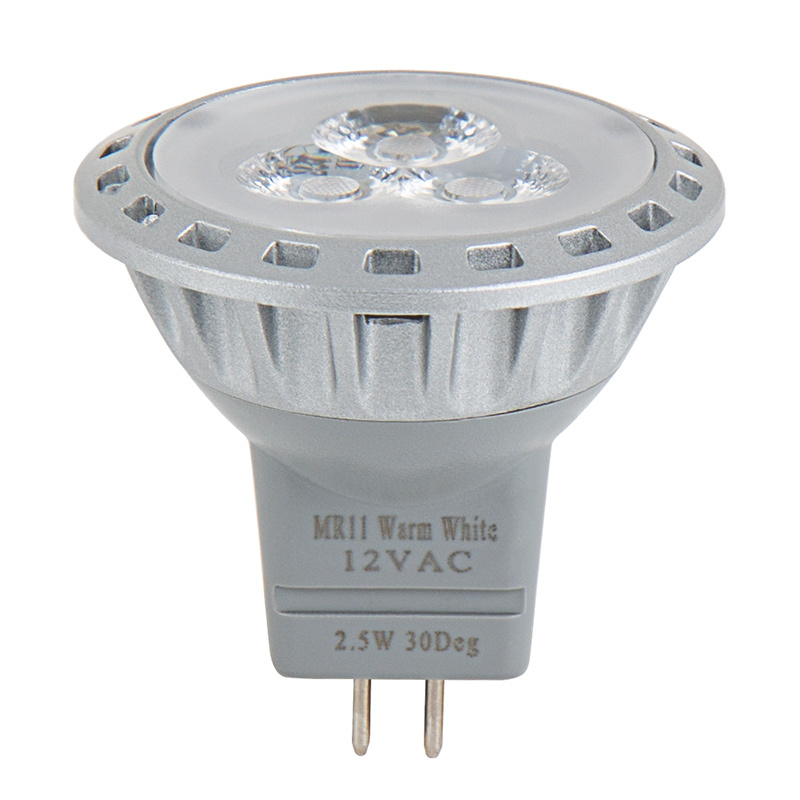 This GZ4 (MR11) LED bulb has 3 LEDs (3528 SMD) with an output of up to 240 lumens and is available in 3000K or 6000K. 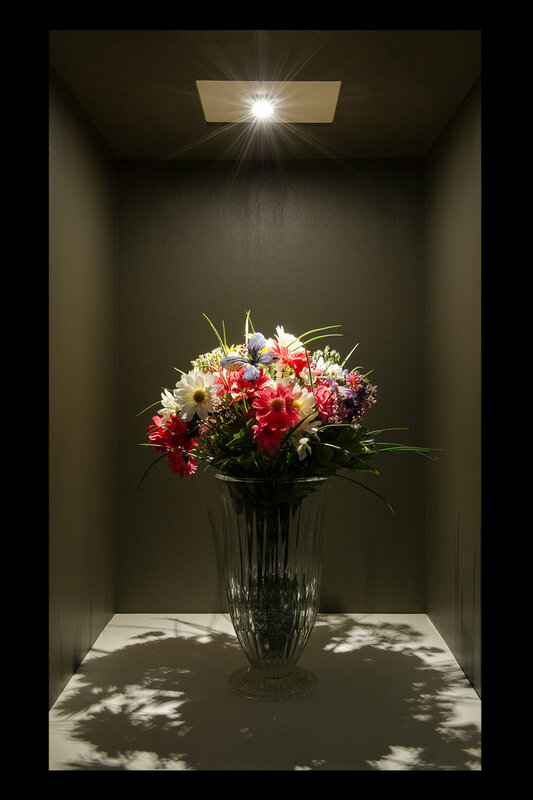 The multifaceted reflector evenly displays a narrow 30° spot beam pattern and eliminates the appearance of a sharp contrast between illuminated and non-illuminated surfaces. 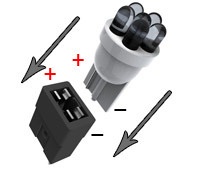 Non-weatherproof bulb has a bi-pin base for easy plug-and-play installation in a weatherproof housing. 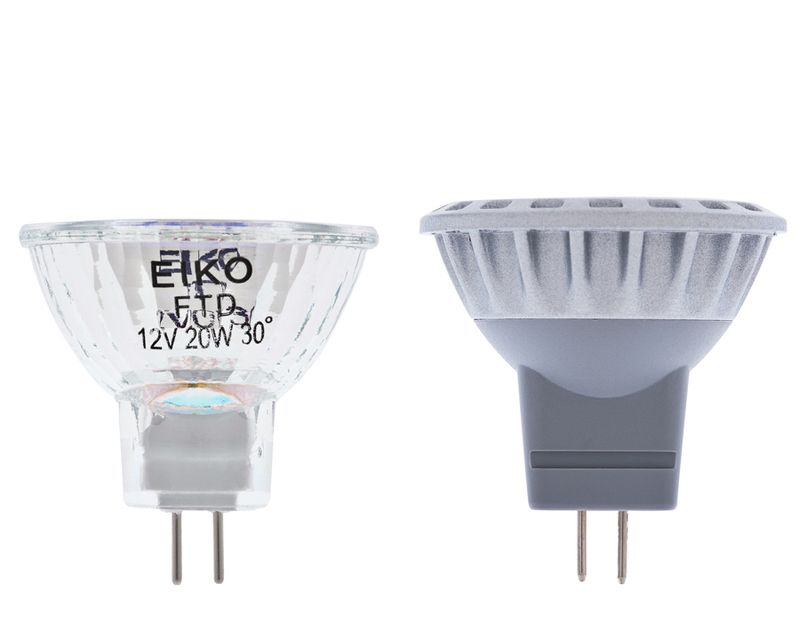 The energy-efficient bulb has 12V AC/DC operation and is designed to last 50,000 hours—42 times longer than incandescent bulbs. Available in cool and warm white. Price per bulb. The first bulb I purchase has lasted all though the winter. I am very pleased , and have just purchased more. Can't tell you how big a difference this makes and we don't wince at them when they're on knowing they are truly low draw. 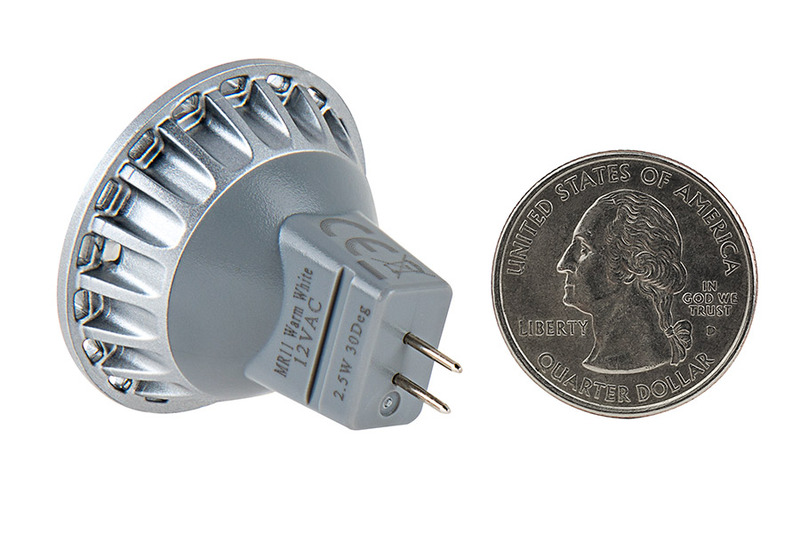 Love these LED bulbs! 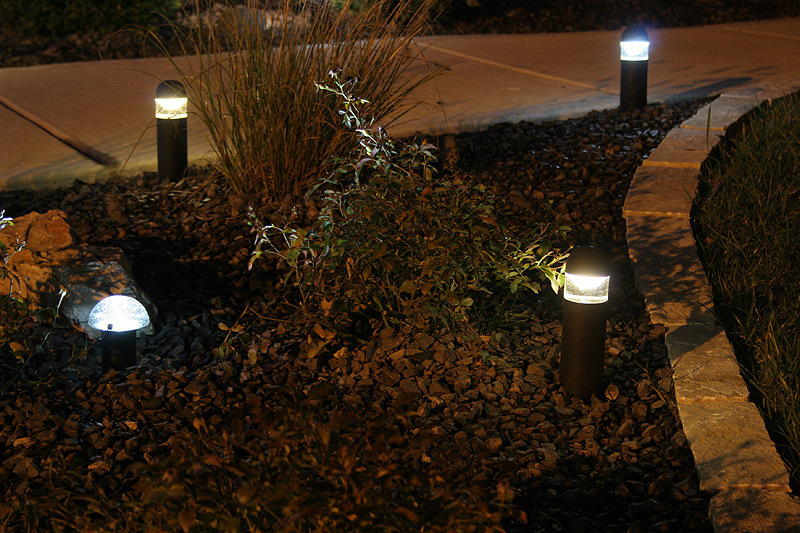 I have replaced all previous landscape bulbs with LED and what a difference. I used the cool white and what a difference it makes. Now you can really see the pathways and my trees and I will be saving money. I will be purchasing more to use inside my house. Purchased this bulb to replace the incandescent on out fiber optic Christmas tree. Swapped it out with out any adapters or power supply other than the one with the tree. Incandescent generated too much heat for my liking. 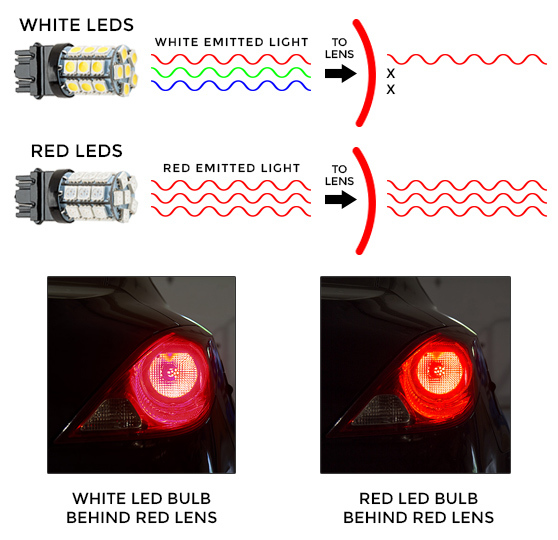 The LED is much cooler, brighter and less power. Why don't they put them in there to begin with? Gives good bright light, but has a narrow beam.